Gold: is the currency in the game. You can use it to purchase cars, upgrade cars. You can get more gold by competing in races. Level: Your level can be checked on the leaderboard. The higher your level is, the more skillful you are. You can earn more Exp points by participating in competitions. Star: After each race, The star level will be rated according to your performance, ranging from 1 star to 5 stars. There are 30 stages 6 chapters in the game. Normal Match: The top 3 players will be selected and rewarded based on their locations. Elimination: The last player will be eliminated at regular intervals. Pressure Match: In this mode your rivals will unite together to stop you, the race must be won under pressure. Urban Havoc: Use your driving skills to demolish the obstacles on the road and destroy other cars to get points and pass stages. Duel: The duel will be held between two drivers. Time Match: Finish a match in a limited time. Chase: Drive a police car and catch the traffic offender. Note the target car will be protected by bodyguards. If you decided to get daily reward again, just follow step 1. 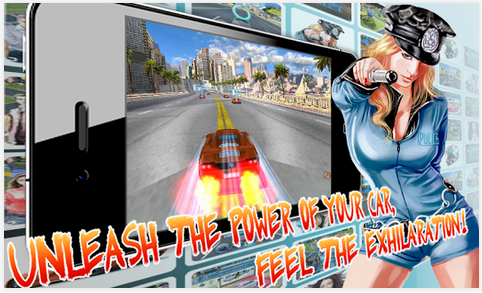 Open Crazy Racing but do not play a single game. Open Crazy Racing just to make sure that there is no problem.